Special assessments are needed when the HOA board has decided not to provide reserves or replacement funds for capital expenditures, deferred maintenance, or when the HOA experiences an unanticipated major expense. How Are Special Assessments Passed? In some situations, the HOA board may levy special assessments. In others, a membership vote is needed to pass a special assessment. In California, special assessments over 5 percent require HOA boards to seek membership approval. Membership approval requires a majority of a quorum of members (more than 50 percent) at a member meeting. There are different rules for an emergency assessment. An expense needed to repair or maintain the property that the association is responsible that could not have been reasonably anticipated by the board within the annual budget. In the third instance, before an HOA board imposes or collects a special assessment, they’ll need to pass a resolution containing written findings as to why the extraordinary expense is needed, and why it couldn’t be reasonably foreseen in the existing budget. The resolution must be distributed to the owners with the notice of assessment. The problem with a special assessment is that it may anger some owners. To minimize angry reactions from owners, HOA boards should be proactive with keeping owners up-to-date with the association’s fiscal matters. Your HOA board should actively encourage attendance at HOA meetings. It’s also wise to keep owners informed using newsletters that detail major repair costs and how vendors were selected. By being transparent, owners would be more in touch with the HOA’s fiscal issues and not be surprised - and then angered - should a special assessment be necessary. If time or other factors prevent your HOA board from doing so, hiring an HOA management firm to handle these tasks can help you keep your owners informed and happy. If reasoning fails, an HOA in California does have legal recourse for dealing with owners who refuse to pay special assessments. A special assessment, as detailed in the CC&Rs, can make the obligation a "debt of the owner" at the time the assessment is made. 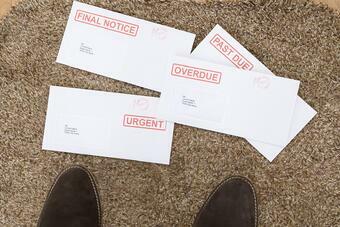 This obligation to pay is personal debt, but it can also legally become a lien against the owner’s property. California law allows the “debt of the owner” to include late charges, reasonable fees and costs of collection, attorney’s fees, and interest. If collection attempts for a special assessment fails as a personal obligation, the HOA can place a lien on the owner’s property. The HOA records a notice of delinquent assessment with the county against the owner's interest in the development. This creates a lien and gives the HOA a security interest against the lot or unit which the assessment was imposed. Your HOA board could take steps to make the assessment process less hostile. Board members should be sensitive to owners for whom the special assessment is a serious financial hardship. While the HOA must treat all owners evenly, discretion can be used to handle owners with special problems. Your board can provide longer payment periods, short-term deferments, or other considerations that won’t have a negative impact on the community or violate the association’s rules. If your HOA board needs assistance regarding special assessments, consult with your HOA management company before proceeding. If your HOA board isn’t working with a HOA management company, hiring a reputable firm to guide you through the process is a sound option, both legally and financially. An HOA management company can also propose other options to a special assessment, such as securing a loan, that may be better choices.